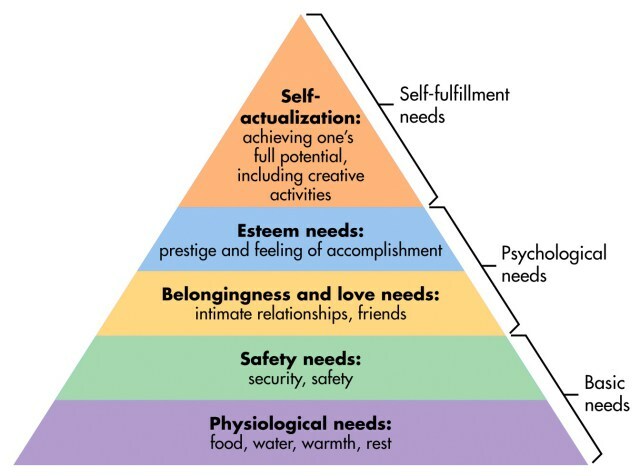 If we cannot fulfil our most basic survival needs, we cannot be motivated or “incentivised” to do anything else. The punishments are applied most frequently to the most vulnerable people. Our welfare system was designed to support people, but under the Tory-led Coalition, it has been transformed into an administration that is run on unethical principles, akin to the Milgram experiment, with the difference that the punishments used are real, and decisions to punish welfare claimants are resulting in very real and terrible consequences. It’s a biological fact that when people cannot meet their basic survival needs – food, fuel and shelter – they will die. Everybody understands this, no matter how well-insulated by personal wealth they may be. The government understands this. 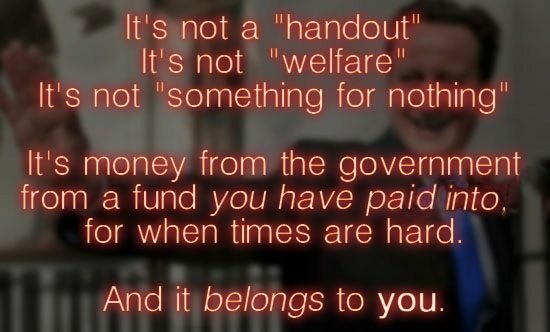 The welfare “reforms” are harming people, and are causing deaths. On Wednesday Gill Thompson is launching a petition on behalf of her brother David Clapson – who died after being sanctioned. It calls on David Cameron to hold an inquiry into benefit sanctions – the term for when money is withheld from welfare claimants as a punishment. 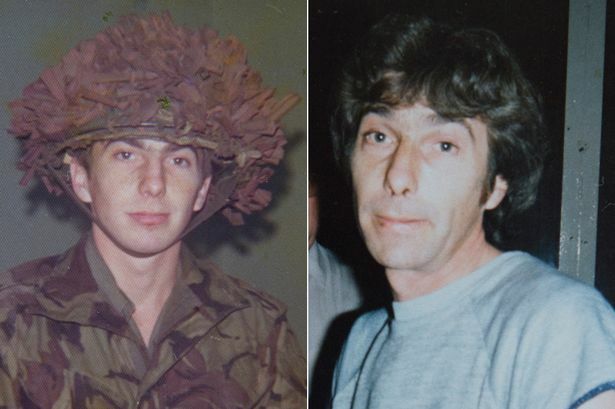 “My brother David Clapson, a diabetic ex-soldier, died starving and destitute because he was penalised by the Job Centre for missing a meeting,” the petition says. “David had his £71.70 weekly allowance stopped, meaning he couldn’t afford food or electricity. He was penniless, starving and alone. “His electricity card was out of credit, meaning the fridge where he should have kept his diabetes insulin chilled was not working. David’s story is awful beyond measure. He had worked for 29 years, including five in the Army and 16 with British Telecom, and been a carer for several years for his sick mother. Tragic: David as a soldier, left, and later. I have written many times about the cruelty of sanctions and the need for the independent inquiry called for by Debbie Abrahams MP. Abrahams even thought she had got Esther McVey to agree to one at a Work and Pensions Select Committee meeting – but the Government backtracked after the meeting. I believe there may be a link between unemployment figures and sanctions – and that is what an inquiry needs to confirm or deny. It also needs to explain why almost one million poor, unemployed and vulnerable people needed “punishing” last year. A few months ago, a campaigner sent me a link to a desperate message on David Cameron’s Facebook page. It was a suicide note, written to the PM by a mother who said she had been sanctioned to live on £25 a week for not attending the Work Programme. The letter said she had been unable to attend because of mental health problems including anxiety, agoraphobia and post traumatic stress disorder. “You see, I don’t really want to live any more,” the letter read. “Not in the world you have created… I prefer this way to starving to death. “Please tell my daughter I loved her very much and am doing this to protect her.” When I tracked down the woman, she had survived her suicide attempt. But she had given up her daughter to social services, fearing that she couldn’t afford to feed her – and because she felt the effect the stress had had on her mental health meant she could no longer care for her. Her daughter remains in care. 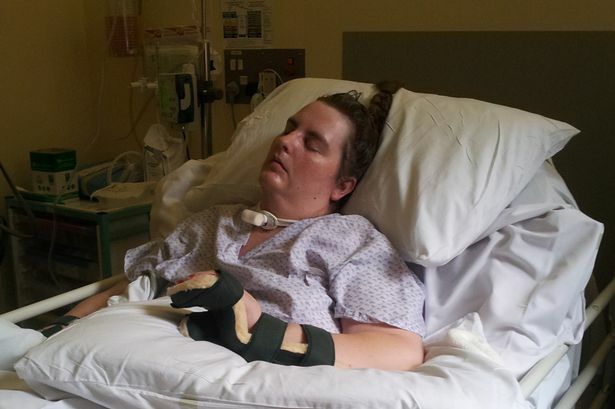 After the incident, in May, the woman received a letter from the DWP saying her sanction had been overturned. It was dated the same day as her suicide attempt. She would have died not knowing that the decision had been overturned. The same week, in this column, I told the story of a Job Centre Plus adviser for 20 years, who warned of a “brutal and bullying” culture setting customers up to fail. The Coalition toughened the sanctions regime for benefit claimants in 2012. Charities including the Joseph Rowntree Foundation, Gingerbread and St Mungo’s have warned that sanctioned claimants face “destitution”. Meanwhile, food bank provider the Trussell Trust has linked the sanction regime to people being forced to turn to food banks. In January, I interviewed the family of Sheila Holt, forced on to the Work Programme at the threat of sanctions. Her mental health problems meant she was too terrified to attend. Sheila’s family say the pressure led to her being sectioned, and ultimately to her having a heart attack which left her in a coma. Nine months later, Sheila is still in hospital and is now being moved to a special nursing home as doctors say she is unlikely to fully regain consciousness. “She is being fed by a tube,” her father Kenneth, 74, told me. In May, Kenneth received a full apology from the then Minister for Disabled People, Mike Penning. “The minister told me he was very sorry,” Ken told me, after travelling to the DWP with his MP, Simon Danczuk. “He said Sheila should never, ever have been treated the way she was. Penning has since been moved from the DWP to become Police Minister. The DWP says sanctions are a necessary means of getting people into work. “The overwhelming majority of jobseekers do the right thing in return for their benefits, for example by looking for work and turning up to appointments and job interviews,” said a DWP spokesman. But what Gill Thompson, Sheila’s family, and the woman who wrote to David Cameron all want to know is how can the Government justify a punitive system that is driving people to foodbanks, to starvation and death. I am sick of the jobcentre, I feel I am being bullied each time I go in there. I was sanctioned at Christmas for not doing mwa for 13 weeks, then I had about 2 payments before I was sanctioned again for not receiving a letter, again for 13 weeks, I put in for a reconsideration but 8 weeks later I am still waiting to hear anything. I was told to do mwa again but I had no way of affording £60 a week to get there with the £43 I’m getting on hardship, so now I have been sanctioned again for 6 months! They are also going to take money out of my hardship to pay back a loan, so i’m getting £35 a week. I understand your pain and you have my deepest sympathies.I am currently 7 weeks into my 6 month sanction which is the 2nd sanction this year.The first sanction was for,like you failing to attend a MWP.I didn’t attend because the Jobcentre Manager told me, I DID NOT HAVE TO ATTEND as it required me to travel 4 AND A 1/2 HOURS each day. JSA regulations state that a claimant is not expected to travel more than 90 min 1 way.I was expected to make a journey which took 2hr 15min just to get to my placement.This broke their own rules.It is a sanctionable offence if you attempt to find work which exceeds this time frame because it is interpreted as not looking for realistic job opportunities,especially if you don’t have your own form of transport.These rules also apply to any MWP placement given to a claimant.The travel money each day would of cost £11.50.Travel money for any MWP is to be refunded to the claimant,but you only get that after you’v reached you placement each day.They don’t pay in advance! After failing to attend because i was told not to, i was then sanctioned for 3 months.I appealed using the good cause letter and didn’t even get a reply back.I then signed off because i was told Hardship Payments were just a loan of £20 a week and i would still be expected to fulfill my Jobseekers agreement.This i knew would be impossible and would most likely leave me open to an even harsher sanction,on top of the one i was currently going to have to serve.I served my 3 month sentence,during which time i went many days without eating and jobsearch went out the window as i didn’t have the energy or the mentality to apply for jobs which i knew i wouldn’t be able to do,if by some miracle i did manage to get one.This government seem to presume everyone can just borrow money.That is not the case,at all! So we are left with a choice of:Theft,Begging,or Starvation!I opted for Starvation. After the 3 months were up i signed on again and within 2 months i was referred to another MWP.This time,they failed to notify me of where the placement was to be held.I got a letter to say i had missed the placement and my claim was to be looked at by a decision maker.I sent back the good cause letter stating i was not notified of where the placement was.I actually got a reply from them this time saying they looked at the evidence and i was to be sanctioned for 6 months.I’v appealed again since and am currently waiting for a reply along with a FOI request to hand over all relevant information they have on me for the past year. This is blatant robbery and i’m angry because not only do i have to starve but they are hindering any chance of me finding work.How are you supposed to get through a month in hand,while not eating,or having money to pay for any transport that will be required to get to work each day.How do you pay for toiletries to maintain a presentable appearance when attending work.Washing clothes etc…. They say sanctions are a way to incentivise a claimant.That is utter nonsense and anyone who believes that clearly don’t live in the real world. Jobcentre Plus aims to help improve your chances of finding work,now or in the future.We want to make sure that you get the best possible support and that you are claiming all the right benefits. Yeah right!They don’t tell you about Hardship Payments and when you ask you are misinformed of the conditionality of that payment.I can only make decisions based on the info i have at hand as to what would be the best course of action for me to survive through such tough times. The DWP do not have the best interests of claimants at heart.All they want to do, is create immovable objects which they know will cause a claimant to be sanctioned.I am disgusted that the government are allowed to enforce a sanctions regime even though the legislation needed to enforce a sanction is currently unlawful/illegal.Despite the High Court and Supreme court ruling against the government they continue to be allowed to do this with impunity. Every claimant who has ever been sanctioned unlawfully should have their stolen money returned with compensation. I won’t hold my breath on the compensation though. I just find these sanctions discriminate against the unemployed,sick and disabled.They make what is already an unbearable existence into an almost impossible one! Reblogged this on Owl's Blog. Attended jcp on August 1st, my adviser saved a vacancy to my UJM account.. I wasn’t given a job seekers direction or told I had a certain amount of time to apply… I do 24 hours a week voluntary work which I love doing.. One of my days is in a Friday which is my signing day… I left jcp and went to work until 5pm.. I got home, got changed, ate etc and sat to do my job search.. The vacancy saved to my account had expired and was removed.. The same damn day it had been saved it expired… ffwd 2 weeks, I sign on again, in a “oh by the way, that job from last time” kind of way, I mentioned what had happened and she proceeded to take a statement from me.. she checked the UJM website and conformed the vacancy had expired the very day it had been saved.. she sent the statement to a desicion maker.. After a delay, the day before I next signed, I got word (after making quite a few phone calls) I had been sanctioned for 3 months.. I’ve now asked for a mandatory reconsideration but im not holding my breath, I’ve applied for a hardship payment but im not holding my breath.. I’ve wrote to my jcp office asking what that consider to be a reasonable amount of time to apply for a UJM adviser saved vacancy but im not holding my breath for an answer.. I’ve also asked that they provide a physical copy of a job seekers directive stating when vacancies should have been applied for to prevent this happening to anyone else.. jcp are underhanded, the system is set up so we fail and fall into their trap and end up in a vicious circle of being sanctioned and then not having enough money to job search, attend courses, sign on etc so our sanctions are extended.. I lost my grandad in WW2 fighting the very thing that our government has become.. This feels like a mass cull of the poor.. as the saying goes.. I love my country but im scared of my government.. billions of pounds sent to Iraq while our own people starve.. shame on you, our unelected government. DO NOT do ANY voluntary work, you are helping in perpetuating this system of free labour and low paid wages. Oddly enough, I DIDN’T get sanctioned. The serious threat of sanctions came after I had been offered a job. I thought the DWP lady would be pleased when I told her this but she frowned at my records of employer contact and pointed out that I had no record of contacts with employers for the last few days. Wondering if she was dim, or hard of hearing I told her again that I had accepted a job. I was gobsmacked when she said that that made no difference to my jobseekers agreement, and I had failed to comply with it. We both got a bit cross and I wrote on my search history, in block capitals, that I would sell my story to the newspapers if I was sanctioned, and passed it back to her. At that point she said I had to see the office manager. The office manager was extremely nice, and suggested that I close my claim a few days early, something I refused to do. In the end it went to the decision maker, and I have no idea on what grounds the decision not to sanction me was made, as I never heard any more about it. Could it have been something to do with the fact that I used to work for the Department of Employment, had an above average understanding of the system, knew my rights and was obviously prepared to stand up for them? Pingback: Protests Against Cuts to Disability Benefits Take off. | Ipswich Unemployed Action.